In the summer, I have a field day in the grocery store. For someone who eats fruits and veggies for half of her diet, fresh summer produce is exciting! Tonight, I took some of that fresh produce and made chicken fajitas with a punchy salsa. 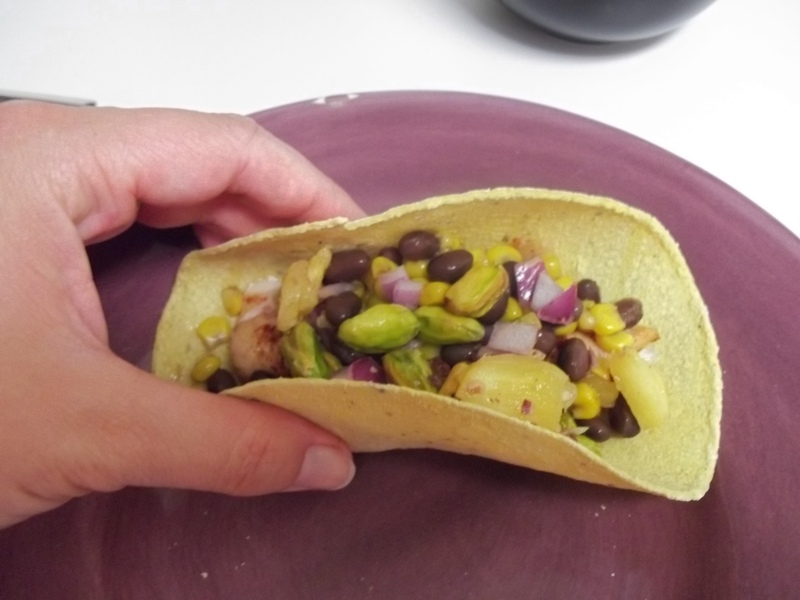 Instead of the usual cheese and sour cream that I would put on fajitas, I stuffed them with this flavorful salsa and spiced corn and beans. What a healthy alternative! I baked chicken tenderloins seasoned with smoked paprika, cumin, and lime juice. You can use a traditional fajita season packet, but those tend to have a big salt content (there is enough salt in my margaritas, thank you very much). I baked the seasoned tenderloins at 375 for about 20 minutes, until done. 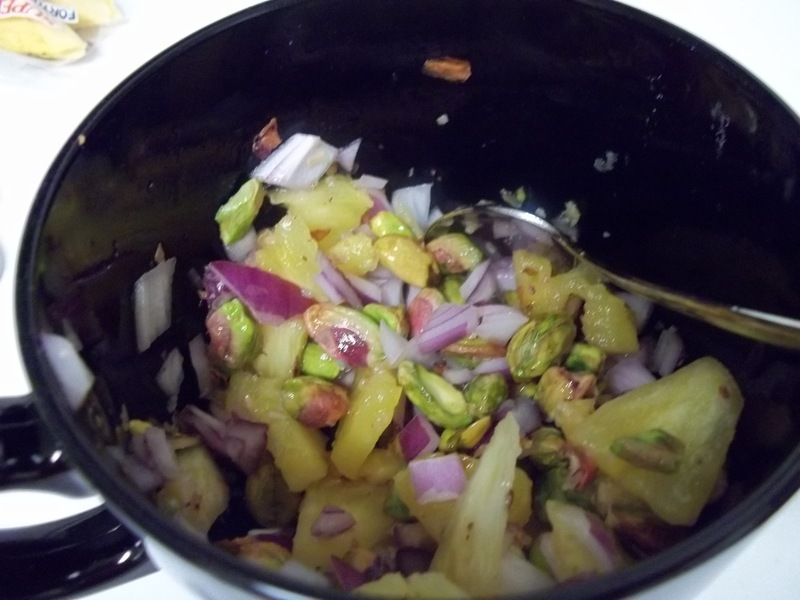 To make the salsa, I bought bulk pistachios (so that I only had what I needed) and shelled them myself (money saver!). I put the pistachios in a bowl, along with fresh sliced pineapple, chopped red onion, fresh squeezed lime juice (about one whole small lime), and freshly grated ginger. Stir together and let the flavors sit together for a few minutes while the chicken is cooking. 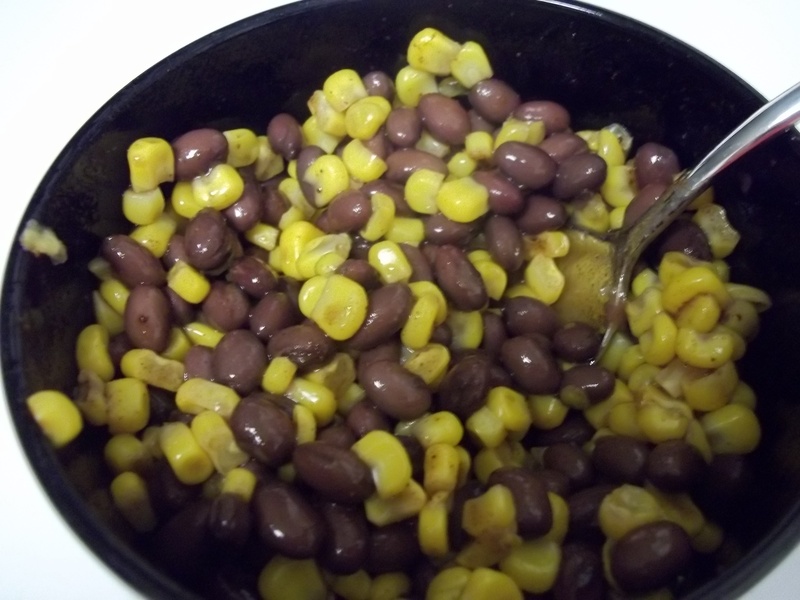 I then also took a can of black beans and a half of a bag of defrosted frozen corn (ok, so this part wasn’t fresh!) and mixed them with fresh squeezed lime juice and chili powder. I put some corn and beans in the fajita, and ate some in a bowl on the side. In a corn tortilla (gluten free! ), put a piece of chicken, some punchy salsa, and corn and beans. Fresh, summery, and delicious! Your recipe is a nice change of pace from the usual salsa. Sounds delicious.